HARI SHANKAR SHUKLA Vs. STATE OF U.P. 5. The trial Court went on to state that, after going through the entire evidence, the incident itself was doubtful, and also commented on the fact that there was some semi-digested food in the stomach of the deceased. The medical evidence shows that it was 2 to 3 hours in the stomach before the deceased was fired upon, and this showed that the incident could not have taken place at 6.00 a.m. at all. On this footing, the trial Court acquitted all the three accused before it. 6. 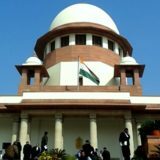 In an appeal filed by the State, the High Court convicted the accused No.3, the SLP petitioner before us under Section 304 Part-I of the Indian Penal Code for the death of Umesh Shukla; Section 307 for the unsuccessful murder attempt on Savitri Devi PW-3, who is the appellant before us under Section 323 and sentenced the accused to 10 years rigorous imprisonment under Section 304 Part-I, three years rigorous imprisonment under Section 307 and six months rigorous imprisonment under Section 323 together with fine. The other two accused, with whom we are not concerned, were sentenced under Section 323 of the Indian Penal Code for six months. 7. Shri Amerendra Sharan, learned senior counsel appearing on behalf of the appellant, has argued before us that the trial Court’s judgment is a well reasoned judgment of acquittal, and this being so, the High Court ought not to have interfered, as there was nothing perverse about the said judgment. According to him, the High Court made a couple of serious errors. For example, X-Ray reports, which were not exhibited before the trial Court, were relied upon in order to demonstrate that there were injuries on the injured eye-witnesses. He also stated that the various discrepancies pointed out by the trial Court were not dealt with by the High Court and the High Court, therefore, should not have interfered with this well reasoned judgment. 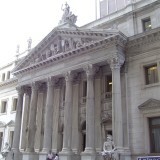 In any event, according to learned senior counsel, even if we were to agree with the High Court, ultimately, the incident having taken place many many years ago and the appellant having served only nine months of the sentence imposed, at this point of time, even if convicted, the jail sentence should not be imposed but additional fine be imposed instead. 8. Learned counsel appearing on behalf of the State has argued in support of the High Court’s judgment. According to the learned counsel, the single most important event is the shooting of the deceased Umesh Shukla by the appellant before us. On this, as correctly pointed out by the High Court, there is no discrepancy between PW-1 and PW-3 and PW-4, who are injured eye-witnesses in the matter. All three state that the appellant before us, after the scuffle, went back to his house, took out a pistol, and shot one bullet, and it is to this bullet that the deceased Umesh Shukla ultimately succumbed. He also went into the High Court judgment in some detail, and said that some of the discrepancies pointed out by the trial Court were dealt with by the High Court and that the High Court Judgment, being well considered and the fact that the appellant before us is only convicted under Sections 304 Part-1/307/323, this should not be disturbed. 11. We are in agreement with this finding of the High Court. However, it needs to be added that DW-1 gave medical evidence as to the extent of injuries that were caused to the appellant himself. Five injuries are spoken about, the first two being serious injuries, though described as simple in nature. The first is lacerated wounds deep in the scalp on the right side of the forehead. The second is an incised wound, skin deep, on the left side of the forehead. The other three injuries are contusion on the back of lip at left shoulder joints, contusion on the front of middle at left arm and abrasion on the front of middle of right leg. All these injuries show that there was indeed a scuffle. In fact, the statement under Section 313 of the Criminal Procedure Code made by the accused, in answer to the last question “ “Do you want to say something?” was that he sustained injuries. 12. We, therefore, find that this is a case where the conviction deserves to be upheld, but the sentence needs to be reduced to six years and fine amounting to Rs.7,000/- (rupees seven thousand only). 13. We order accordingly. 14. The appeals are allowed to this limited extent only. 15. The appellant in Criminal Appeal No. 1159 of 2007 is on bail. His bail bonds shall stand cancelled. The appellant shall be taken into custody forthwith to serve out the remaining sentence. Tags: CRIMINAL APPEAL NO.1159 OF 2007HARI SHANKAR SHUKLAROHINTON FALI NARIMAN PRAFULLA C. PANTState of U.P.